I can’t express how excited I am to be sharing the final leg of my journey through Spain with you. 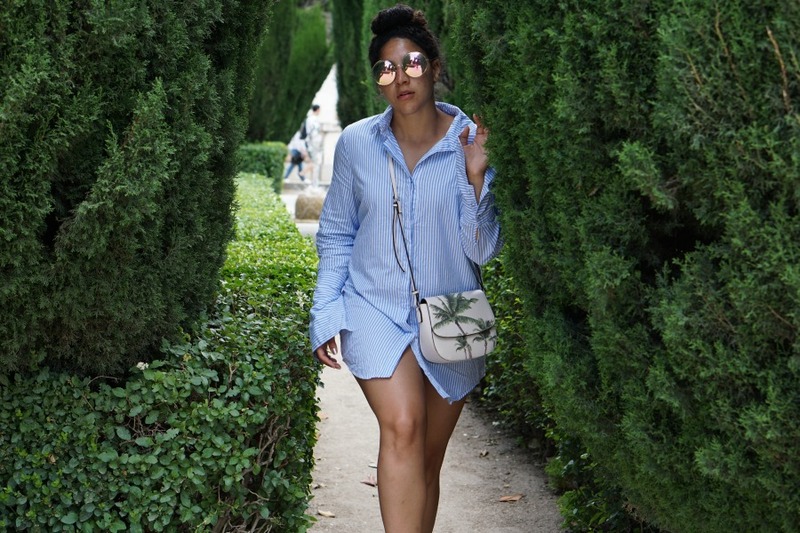 Hopefully you’ve been following along and checked out my posts on Barcelona and Ibiza. 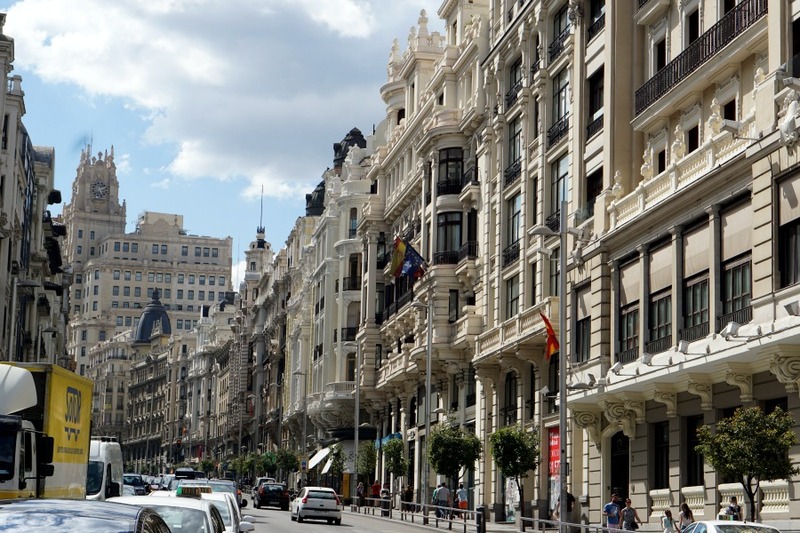 Between wandering the dreamy streets of Barcelona and talking in all the sun Ibiza had to offer, we arrived in Madrid exhausted. But with only two days to take it all in, there was no rest for the weary. 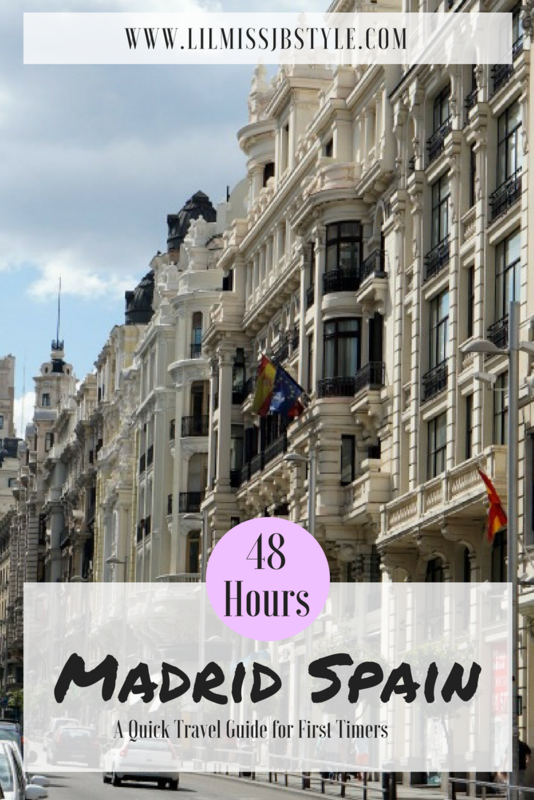 So I am sharing with you my 48 hours in Madrid travel guide! Coming off a flight from Ibiza we found the nearest cafe to fuel ourselves with caffeine and rest our feet while we waited for our Air B&B check in. After dropping off our luggage, we consulted a map and got moving. We hopped on the metro and headed straight to Plaza de Espana. 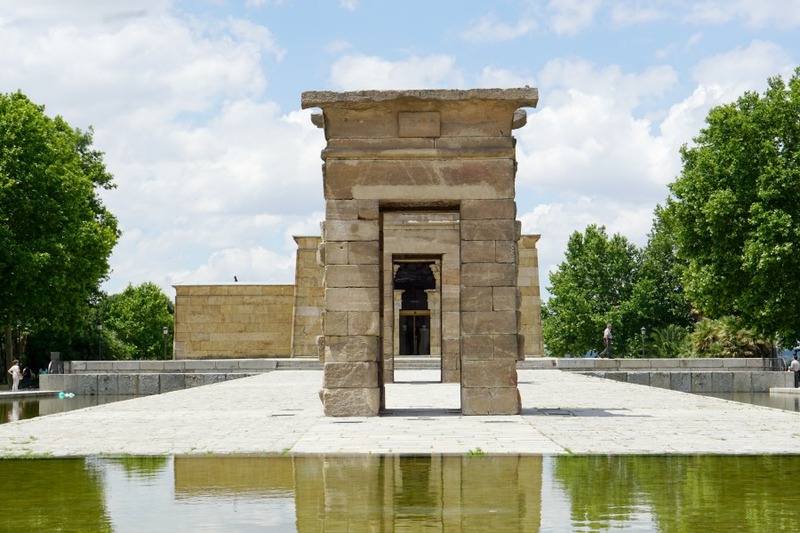 From there we walked to Temple of Debod through the Jardines de Sabatini, over to Palacio Real de Madrid and Catedral de Santa Maria. While that sounds exhausting, I assure you the the beauty of Madrid’s architecture provided the best distraction from my sore feet. 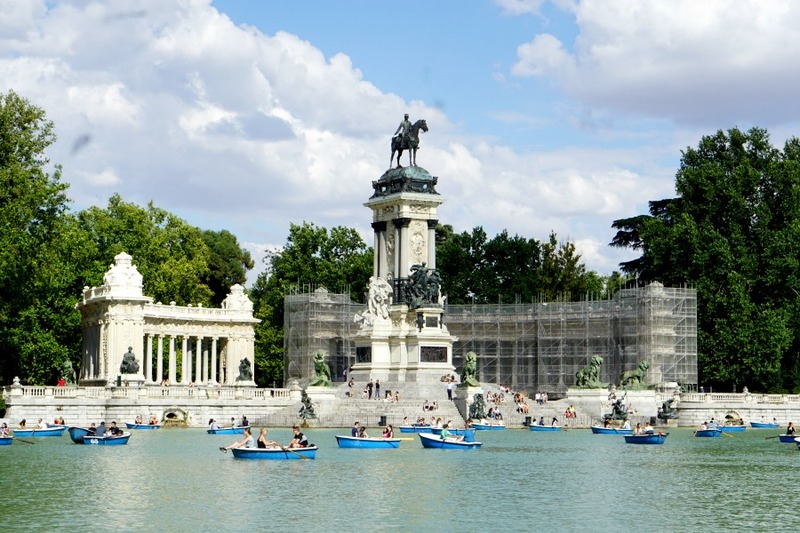 We then stumbled upon Plaza Mayor and Parc de Retiro with pond filled with paddle boats for rent. After literally hours of walking, we barely were able to drag ourselves to Tartan Roof on top of the Circulo de Bellas Artes. But it was worth it for the best rooftop view of Madrid’s skyline and a well earned sangria to ring in my friend’s birthday. Since we had taken in nearly all of the major sites on the first day, day two’s itinerary was much shorter. Again we caught the metro back over to the Plaza Mayor area for a delicious breakfast at La Rollerie. Afterwards we indulged in a little shopping just off of Calle de Atocha where I found the Zara blazer on my wish list for $20 off! 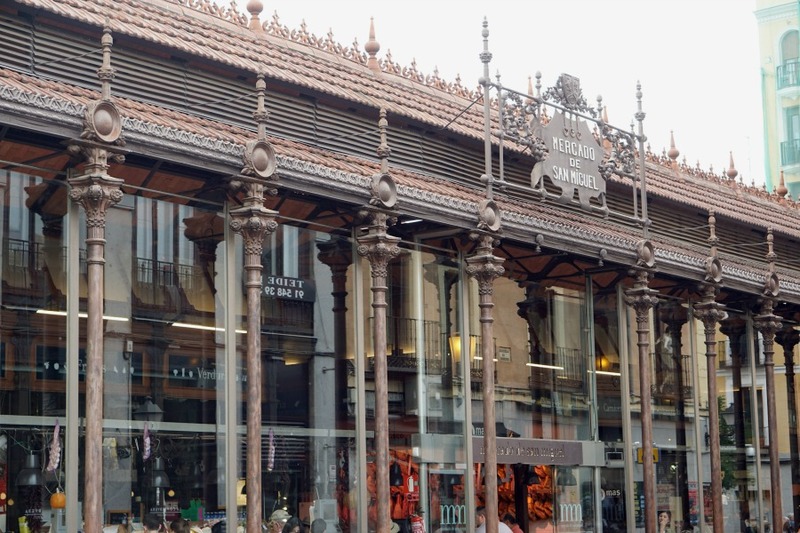 Retail therapy left us hungry once more so we made our way to Mercado de San Miguel. Little did we know it was tapas heaven! There were all kinds of treats from salmon burrata bruschetta to guspacho and 3 euro sangria. Talk about jackpot! Almost anything you could imagine was there for the taking, and I took until my heart was content. Bellies full we hopped on the metro and headed to Museum of the National Library. 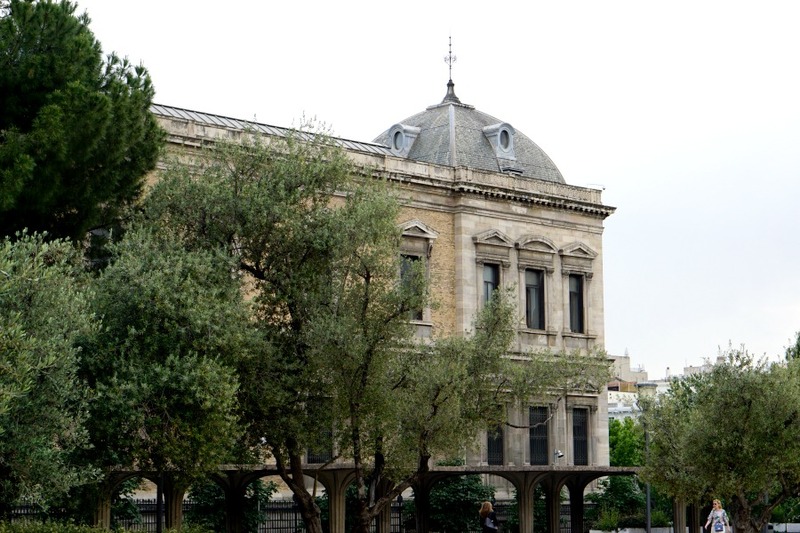 We followed Paseo de la Castellana all the way down to the Museo Nacional Centro de Arte Reina Sofia stopping at all the breathtaking museums, sculptures and architecture along the way. As the sun set we stopped back in Plaza Mayor to enjoy one last paella before heading back to the States. Each part of Spain offered something different and beautiful. It was a true reminder of the importance of traveling. Learning about other cultures to broaden your horizons and help you discover even more about yourself! The whole time we were in Spain it was nothing but sunny. So if you ever head to Madrid in July think breathable fabrics and super comfy shoes. 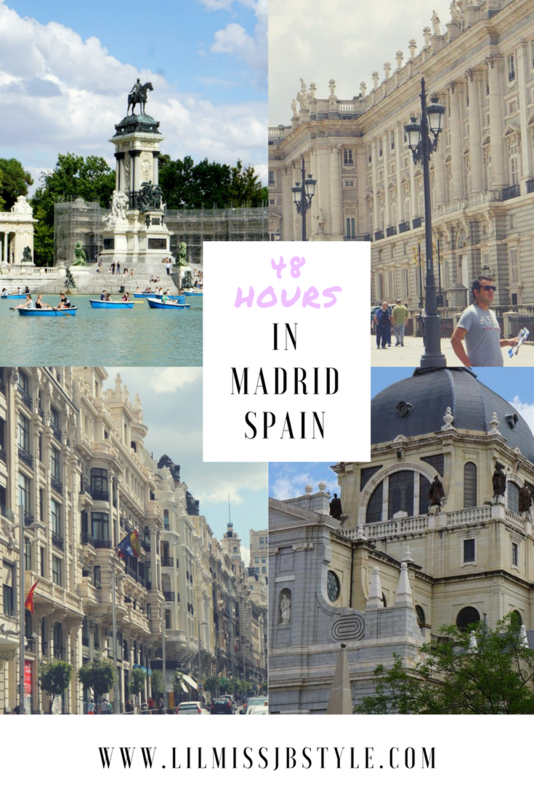 I hope you enjoyed my 48 hours in Madrid travel guide. If you’ve ever been be sure to share your must see sites with me. Also if you have question comment below and I’ll be sure answer them! Keep scrolling the watch my video diary of my trip to Madrid and shop my outfits. 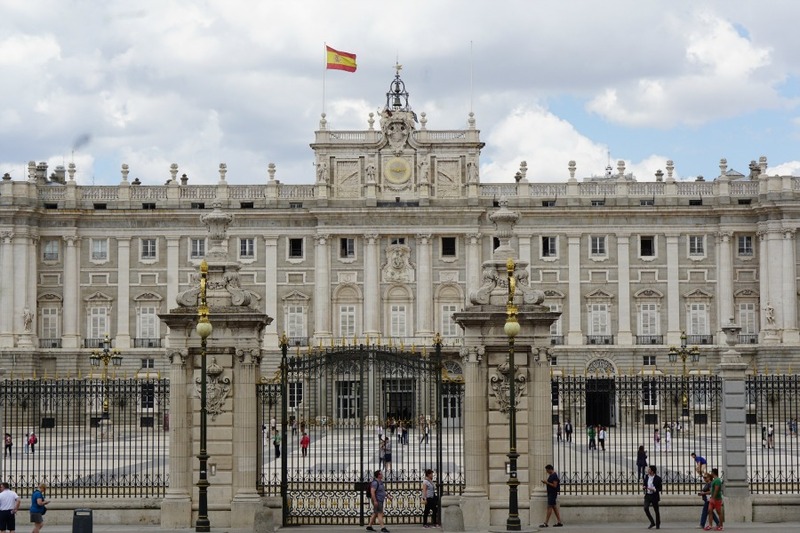 Check out my Madrid Travel Guide video below! Oh I’m so jealous Caitlin, I wish we would’ve added Majorca to our trip! Definitely save up because Madrid is definitely worth it. Yea I noticed there was a lot of renovations but your city was still breathtaking Cristina! 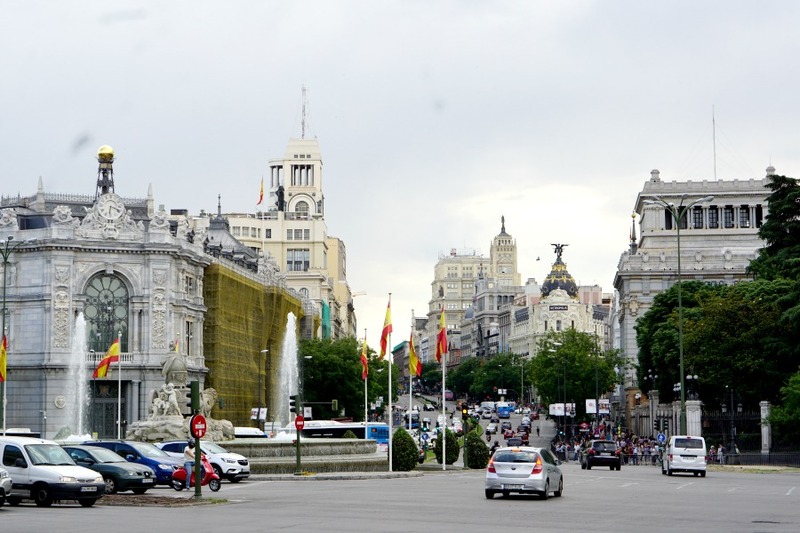 Have any recommendations for first timers coming to visit Madrid?